Self Made Beauty: War On Bugs Time! Yep. It's that time of year again....bug time! So, what do we do in our home to combat it? Several things are needed for our combat. We start with layering ourselves in Avon's Skin So Soft products. 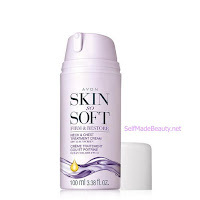 Skin-So-Soft by AVON is the top resource for our combat team. It has been a product used in our family for generations. I also developed a DEET allergy while serving in the military overseas in Iraq. It causes a severe rash and hives with just the slightest contact. 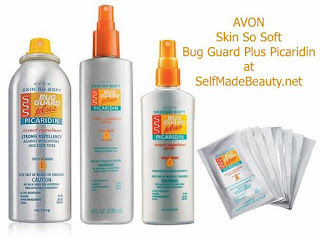 AVON's Skin So Soft products contain no DEET. Photo provided by Self Made Beauty. We start with showering and bathing with the original formula of oils and shower body washes in order to coat us with our first layer of defenses. AVON advertises these products as moisturizers and do a wonderful job preventing skin dryness. 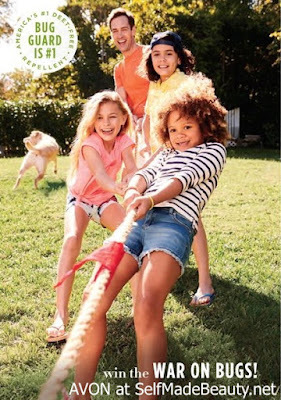 We like many others believe that layering the original formula products also help as an insect repellent. After emerging from our cleanliness retreat we coat ourselves in SSS Spray on oil and massage it into our skin as an additional layer of defense from dry skin and insects. Donna uses Avon's Anew Products for her daily facial skin regimen. 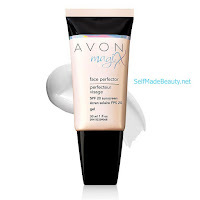 After using a cleanser on her face she applies Avon's MagiX Face Protector. She loves this product because not only does it have SPF 20 but it applies as a gel to powder product. It's not messy and it smooths to look of fine lines and pores. She says it help counteract the shine she may normally get throughout the day without using it. It can be used as a primer under foundation but she usually just uses it alone on most days. Donna was a law enforcement officer prior to being medically retired a few years ago. When she was younger she did not use sunscreen as much as she probably should have. As a result of being outdoors for many years in those button up shirt uniforms, she has some skin damage. She applies the AVON's SSS Firm and Restore Neck & Chest Treatment Cream to her neck and upper chest area to help those problem areas. She has been using it the last couple of years and we have seen tremendous improvement in her neck and upper chest area. This product also has the added benefit of SPF 15. She then applies the SSS Firm & Restore DD Body Cream which also has SPF 15 coverage or SSS Original Body Lotion to the rest of her body. She says applies it according to her "mood". AVON has a larger SSS Firm & Restore Body Lotion but this does not have SPF protection. Neither does the SS Original Body Lotion. Donna loves the Firm & Restore Product Line because she is convinced it does firm and help the look of her skin tone and fine lines. I have also noticed and difference in her skin. The rest of us in the family just slathers on the SSS Original Body Lotion whenever we feel we have dry skin developing. As we emerge into the sunlight of the outdoors we coat ourselves once again but this time in SSS Bug Guard Plus IR3535 Expedition. We prefer the aerosol spray just because it is easier and less likely to spill. It is that it is both an insect repellent and a sunscreen with SPF 28. This product does come in a pump spray with SPF 30 in two different sizes if you prefer that option. If we are planning on water activities we simply pull out the AVON SSS Bug Guard Plus IR3535 Lotions. There are two different choices. 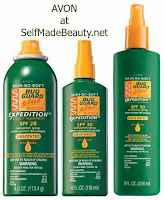 The SSS Bug Guard Plus IR3535 Gentle Breeze SPF 30 Lotion and the SSS Bug Guard Plus IR3535 Disappearing Color Lotion. When the kids were little and wiggled around so much in anticipation and excitement we loved the Disappearing Lotion. It goes on blue and dries clear. Both products are not greasy and basically create a shield against both the insects and the sun. A friend of Donna's once declared that the bug's would bounce off her skin while wearing this product. (I just shook my head when she told me that one.) The product needs to be re-applied every 90 minutes to maintain proper coverage. When its almost dusk we switch to the SSS Bug Guard Plus Picaridin Towelettes. Donna prefers the wipes to apply this product. They are individually wrapped towelettes and come in a resealable bag. She always sends the girls off to camp with this version of the product because it is easy for the kids to keep in their small backpack and apply as it becomes dusk at camp. It's also easier to carry and apply right after they shower in the evenings while camping. It comes in aerosol spray and two different pump sizes. This product does not have SPF protection and is an insect repellent. At the end of the day we try to get everyone showered again just like we did in the morning to get a head start on the next day. I hope our experience helps you in your war on bugs!